If you haven't already, make sure to check out part 1 where we introduce you to the fundamental concepts on running a simulation study. Let's get started. 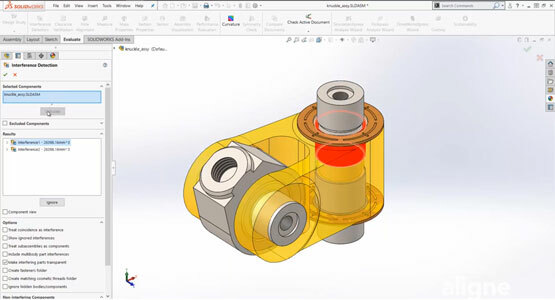 SOLIDWORKS Simulation is important tool used in the design process to identify potential problem areas and improve product quality before it reaches the production stage. In this video we will take a look at how to prepare your geometry before running your first simulation. 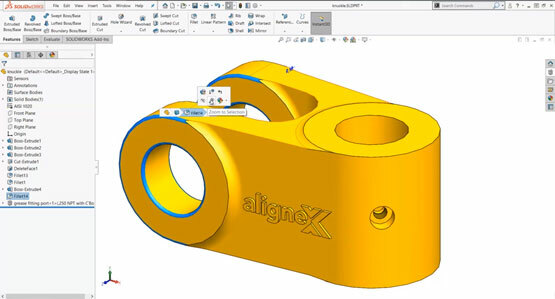 The simulation software needs to split the CAD model into smaller and simpler entities called elements. The more elements we have in the model, the longer it will take the study to run and the more computing resources (like RAM) it will require. So our goal is to use enough elements to accurately represent the geometry, but not so many that it becomes unmanageable, or even impossible, to run the simulation study with the resources you have available. One way we can reduce the number of elements is to simplify and defeature the CAD model. If the model contains cosmetic details or features that do not have significant influence on the structural integrity of the design, then we can go ahead and remove those features before setup the simulation study. For example, we can usually suppress external fillets, logos, stamped part numbers, and other features that do not significantly impact strength or stiffness. By the way, it's generally a good idea to create a Pack & Go copy of the assembly or part that you’re going to be running the simulation study on. This way you can suppress, change and delete features without affecting production parts and assemblies. Lastly, before creating the simulation study, make sure you run Interference Detection to check for any overlapping bodies. When it comes time to mesh, any volume interferences will cause problems so we'll need to clean up the CAD model to ensure no bodies are interfering. Thanks for watching! Check out our Simulation Video & Resource Library for other related content.